Skateistan, the non-profit organization, which uses skateboarding and education for youth empowerment, unveils a new fundraising campaign - "Give Her Five”. 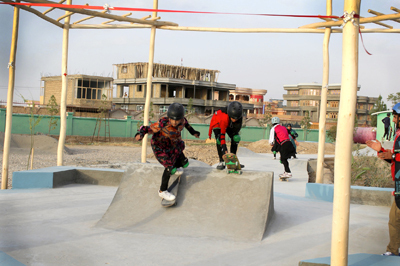 The campaign highlights the positive impact Skateistan is having on the lives of girls in Afghanistan. It launches with an inspiring animation called "Her Story" about an Afghan girl empowered by skateboarding and education. From December 5th, Skateistan is asking the public to Give Her Five by donating $5 in a bid to raise $100,000 by December 31st. Skateistan believes girls have an equal right to be safe, play sport, go to school, have confidence and become leaders: 50% of their students are girls. At their Skate Schools in Afghanistan, Cambodia, and South Africa, girls are skateboarding and learning together in much-needed safe spaces. Since 2009, skateboarding has proven to be a powerful tool for girls to access education, with Afghanistan being home to the highest percentage of female skateboarders in the world. "This is a very important campaign because girls deserve the same chances in life that boys get. The Skateistan community cares a lot about girls empowerment and you can support this!" says Skateistan Executive Director, Australian Oliver Percovich. About one-third of countries in developing regions still need to achieve gender parity in primary education, but Skateistan is actively working to change that and provide opportunities for girls. 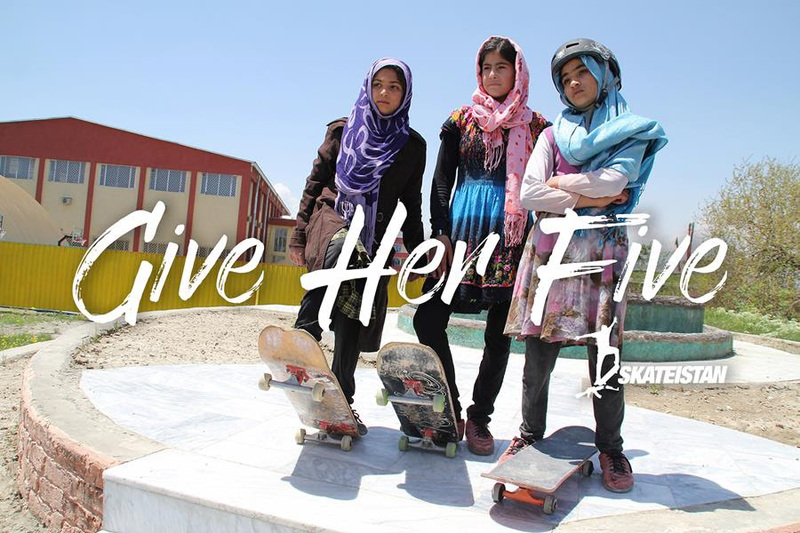 Throughout “Give Her Five” Skateistan will share real-life stories of empowerment. From girls who have found their confidence through sport, to students who have gained scholarships to private school and women who have traveled overseas to skateboard with the world’s best. Skateistan has proven that when given the right opportunities, girls can change their lives, their communities and ultimately the world. Consider making this your Christmas/New Year gift - donate $5 today. Watch the new and very cool 2-minute animation narrated by an Afghan girl, below. (If the video clip does not appear on your device, please go directly to: https://www.youtube.com/watch?v=rFSKO_z2ibo ).